Katie Holliday is the principal member of Carmody Holliday Legal Services, PLLC, and is admitted to practice law in the states of Montana and Ohio, the United States District Court for the District of Montana and the United States District Court for the Southern District of Ohio. She received a Bachelor of Arts degree from The University of Montana in Missoula, Montana in 1998. 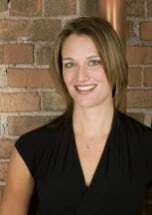 Katie graduated from Syracuse University College of Law in Syracuse, New York with a Juris Doctorate degree in 2001. She practiced in her hometown of Cincinnati, Ohio for several years before returning to Missoula, Montana to practice. Katie's practice areas have included commercial litigation, agricultural, business, real estate and family law. Katie resides with her husband, two sons, two mules, horse and two dogs in the Blackfoot Valley outside of Missoula, Montana. In her spare time, she enjoys mule-packing trips, alpine and cross-country skiing, and hiking. She is also a past board member of the Potomac-Greenough Community Center in Potomac, Montana.